Public telephones in Luxembourg can only be operated with a calling card. Phones are liberally placed throughout the capitol city, but there is generally one phone booth in each small village or town. Phone cards are sold at the post office, train station, and some newsstands. 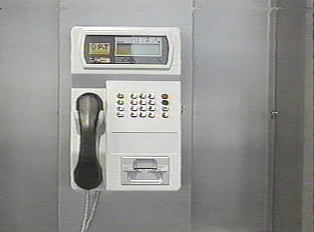 Public telephones are also available at the post office, where one pays a cashier after making the call. These phones are convenient for international calls.There is only one telephone book for all of Luxembourg, written in French and German. It includes general information such as street addresses for the pay telephones in each town, emergency numbers, the meanings of different siren blasts, price information for various postal weights, and telephone numbers and addresses for residents of the country. All private telephone and Internet lines are purchased and connected through the post office. Once the telephone line has been set up, the customer can choose a long distance service from either the government or a private company. "Calling a Friend from a Public Phone"